"EVERYTHING COMES WITH A PRICE"
"Blues Keep Knockin’ is ten soul-drenched songs dripping with blues and R&B goodness. This is the great stuff." "Blues Keep Knockin’ ranks with her best work to these ears and hopefully the best is still yet to come." "She appears to have found a home with Connor Ray Music and an excellent band led by harmonica ace Steve Krase, and she just blows the doors off on this album." "Lynn is over seventy years old but sings like this is her debut. With a voice like hers, it would be easy for her to coast on natural ability alone, but each and every performance on Blues Keep Knockin’ sounds like she’s putting every ounce of herself into the track." "Trudy Lynn has been making music for a long time, and Blues Keep Knockin’ is her thirteenth album. This is a damn fine blues record. Seek it out." 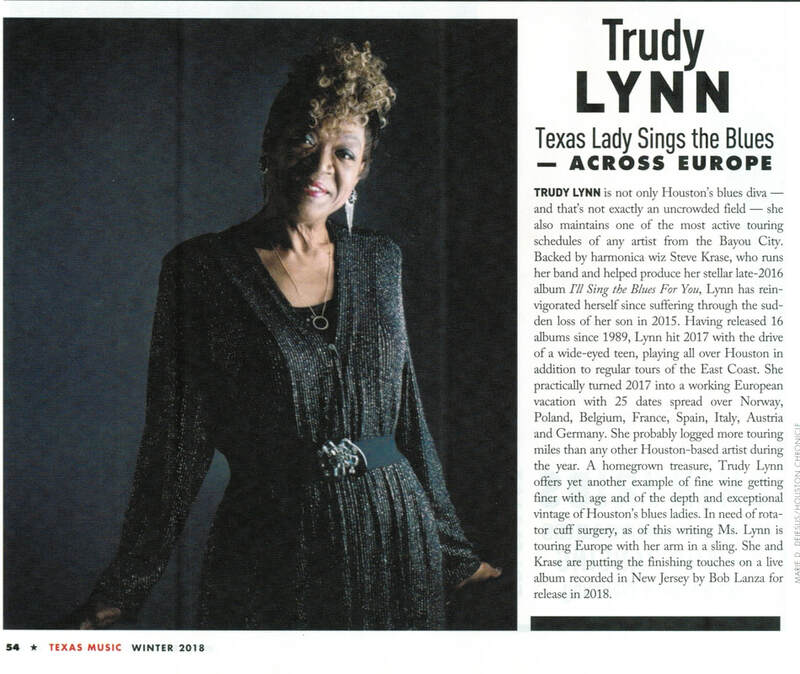 "Blues Keep Knockin' is Trudy Lynn's fourth CD for Houston's Connor Ray Music and it may will be her strongest yet." "On Blues Keep Knockin', Lynn's 13th solo album and follow up to the 2016's excellent I'll Sing the Blues for You, she puts her husky, yet nuanced voice on full display on the disc's ten songs." "A very pleasant record to listen to that makes you want to discover this artist on stage. If Trudy Lynn passes near you, do not miss it!" 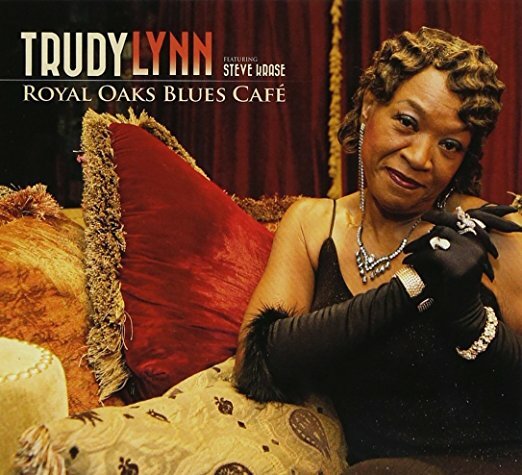 "Blues Keep Knockin’ is another strong effort from Trudy Lynn, so grab your favorite beverage, turn down the lights, and enjoy one of the better female blues singers working today." 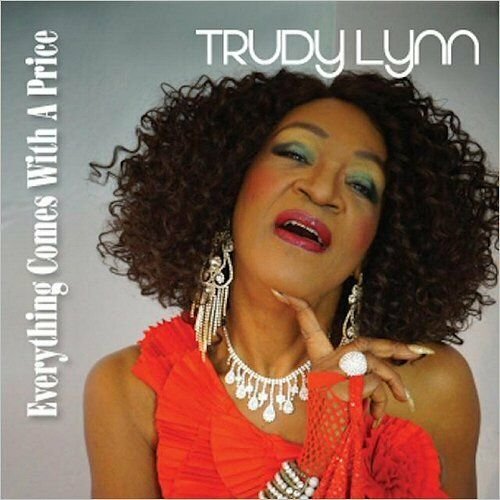 "The power of the blues explodes forth on Trudy Lynn's new album. Blues Keep Knockin' keeps rockin', rollin' and boogyin'. Her earthy, vigorous voice will rivet listeners. Backed by a first-rate band, Lynn makes a lasting impression with this spirited new album." "Trudy Lynn delivers the ribs drippin’ off the bone with the sauce biting the corners of your mouth on this gritty and fun blues basher." 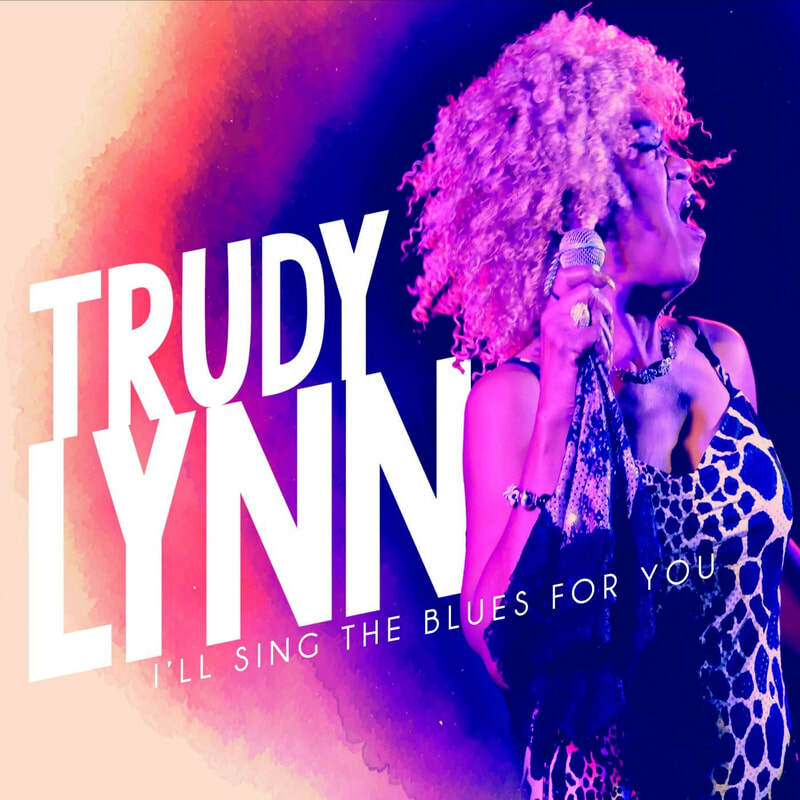 "It’s great to know that the hard-chargin’ deep soul blues style that is vocalist Trudy Lynn’s signature shows no let-up on her newest offering." "Trudy Lynn knows the “Blues Keep Knockin’ on my front door” for a good reason—she’s gotta keep spreadin’ the gospel of good times and bad men to all us fans!" "The songs Trudy Lynn selected to cover on Blues Keep Knockin’ and the song she wrote for the album speak to her experiences with love and heartbreak. Trudy Lynn is nominated for a 2017 Blues Music Award! Click here to read more and to VOTE.